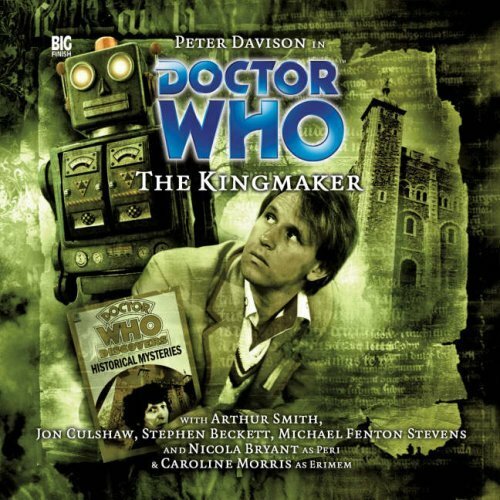 I’m not saying ‘The Kingmaker’ is typical of the Doctor Who Big Finish audio dramas. Nor is it, perhaps, the best introduction to Peri and Erimem if you’re unfamiliar with either. But if you have a couple of hours to spare, and the iPod playlist is looking stale, you could do a lot worse. I haven’t laughed quite so much in a long time. The anachronisms come thick and fast – there are gags about spoilers, concussion and commemorative mugs. Davison is clearly enjoying himself, while Caroline Morris gets to serve drinks in Tudor England and break a publican’s arm. Arthur Smith turns in an amusing guest turn, and Peri, in particular, has some wonderful scenes (which should surprise no one, give that her husband wrote them). 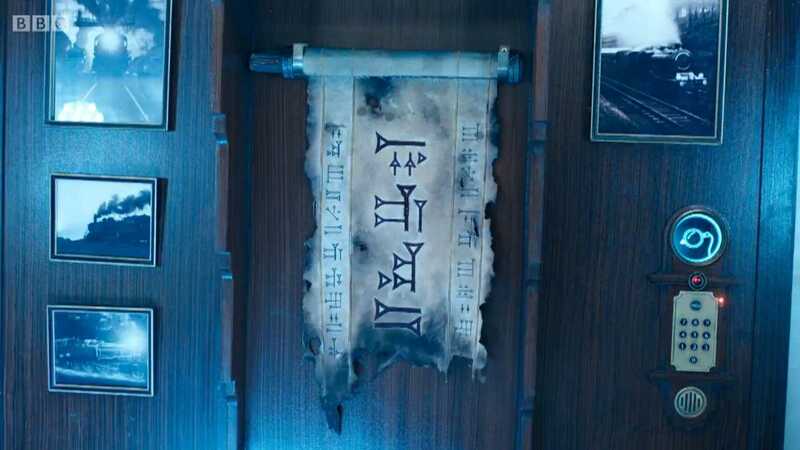 One particularly amusing sequence in ‘The Kingmaker’ sees the Doctor communicate with his companions – stranded two years in the past – with a series of letters, each one designed to be opened “directly after the last one”. The whole thing is rather like that scene in ‘Curse of Fatal Death’ where the Doctor and the Master travel further and further back in time in order to bribe the architect of the building in which they’re standing, an unfortunate series of events which culminates in the Master spending over nine hundred years in a sewer. 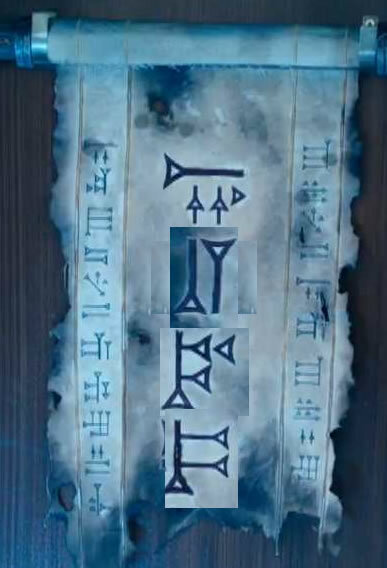 Curiously, however, said notes were delivered by someone who was clearly supposed to be to the Ninth Doctor – a character that Fountain wasn’t told that he had to leave out – with no one noticing the inclusion until the thing had been shipped. 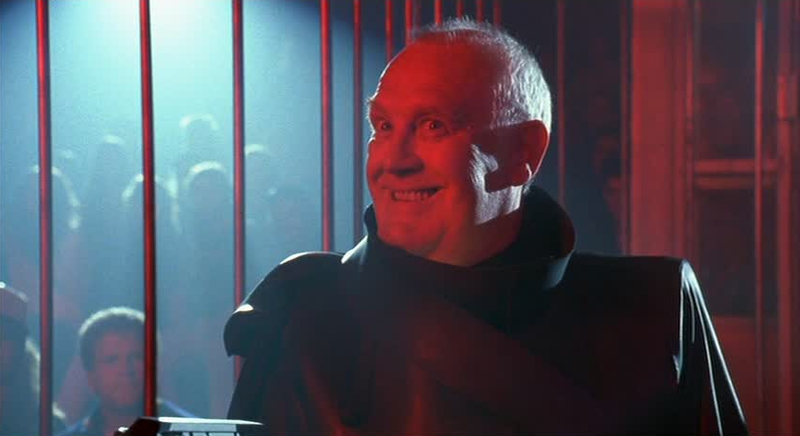 This is Joss Ackland in the second Bill and Ted film. If you’ve seen it, you’ll know why. 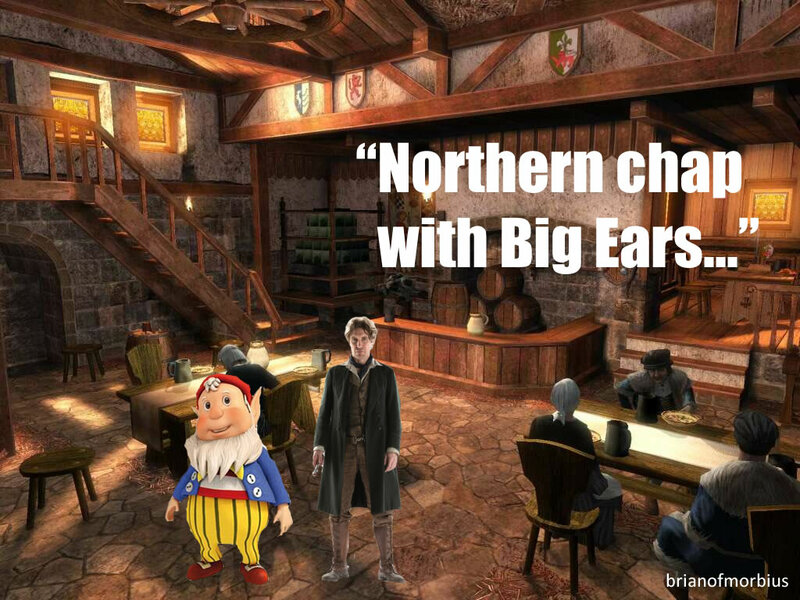 You have to feel a bit sorry for the Eighth – and for Big Finish in general, come to that. There they were, gearing up for the end of the Time War, by having the Doctor lament that he was about to do something terrible. He even got the leather jacket. The next thing you know, John Hurt is running around Gallifrey, blasting holes in the Arcadian walls and trying not to eat the cornbread. Presumably the jacket went back in the wardrobe, and the “terrible thing” turned out to be a re-recording of ‘Doctor in Distress’. Luckily, the jacket is not mentioned, otherwise you’d have a potential continuity error, and we all know what happens when jackets turn up where they’re not wanted. Anyway, Gareth and I have spoken on various occasions – and I’m sure I’ve mentioned it here – about that scene in ‘Parting of the Ways’ where the Doctor is on the floor of Satellite 5, frantically assembling things out of cables and bits of circuits. I like it because, for just about the first and only time that series, Eccleston really felt like the Doctor. And perhaps with that in mind, I did this for Emily’s birthday card. Yes, Emily is in a pram. Except it’s a shopping trolley. I got the legs wrong and damage control was needed. I’m a rubbish artist, but it’s quite fun being a loving husband. 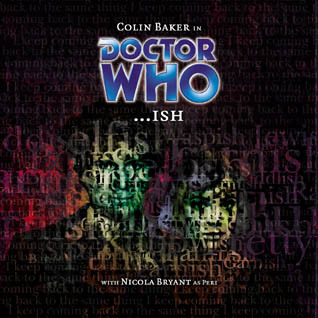 People who aren’t actually fans of Doctor Who are invariably the people who tell you that Colin Baker was rubbish. It’s an assessment that is usually based on his first episode, which is admittedly one of the periods in the history of the show that we generally don’t talk about if we can possibly help it. In defence of those who would criticise the Sixth Doctor, it’s fair to say that his run of TV stories was patchy to say the least, ranging as it did from dreadful (‘The Twin Dilemma’, ‘The Two Doctors’) through to overrated (‘Revelation of the Daleks’) with the odd classic thrown in (‘Vengeance on Varos’, which even now is lamentably most famous for the controversial acid bath scene and the image of Nicola Bryant auditioning for Teen Wolf. Never mind the fact that Moffat seems to be spinning the ‘Did he fall, or was he pushed?’ mystery out for an entire series). However, within the confines of spoken word, the Sixth Doctor has gained a new lease of life. I don’t care what Ian Levine says (although I do hope he’s feeling better) – Big Finish kept the Doctor Who fires burning long after the show was cancelled, refreshing the parts even the Past Doctor Adventures novels cannot reach, and continues to do great things today, even though they really ought to ease up on the release schedule and prioritise quality over quantity. 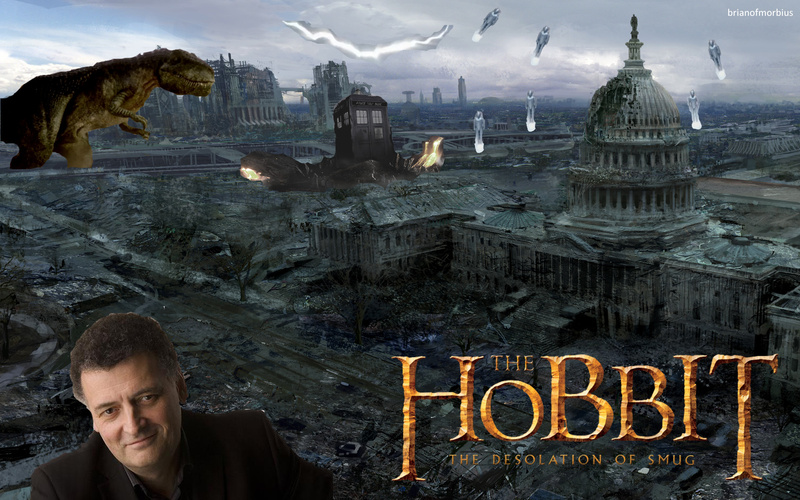 There are dodgy narratives, a fair amount of blandness and an occasional over-reliance on gimmicks that you can only get away with in an audio drama – and Briggs, like Moffat, needs to stop hogging all the best story ideas and then phoning in the scripts – but I’d take even the interminably dull ‘Creed of the Kromon’ over another viewing of ‘Daleks in Manhattan’. As far as the (ongoing) tenure of the Sixth is concerned, there is much to be loved here. The Doctor has lost much of his arrogance, although the blustering pomp remains. The stories are interesting and varied. And the companions, with one or two exceptions, are great fun, even if it’s frankly criminal that Frobisher is so drastically under-used. Even Melanie Bush is fun these days. If there’s anything that’s going to make you love CB, it’s BF. If you read this blog regularly you won’t be surprised to learn that it was Gareth who persuaded me that Big Finish was worth my time, and given my River Song-esque approach to experiencing these things out of order, we started with ‘Spare Parts’ and ‘Jubilee’. The former is the definitive origin story, telling of the Cybermen’s rise to prominence with a chilling brutality that deserves its own blog post, so we won’t waste time on it for now. ‘Jubilee’, on the other hand, is the story that gradually evolved into ‘Dalek’, only told better. 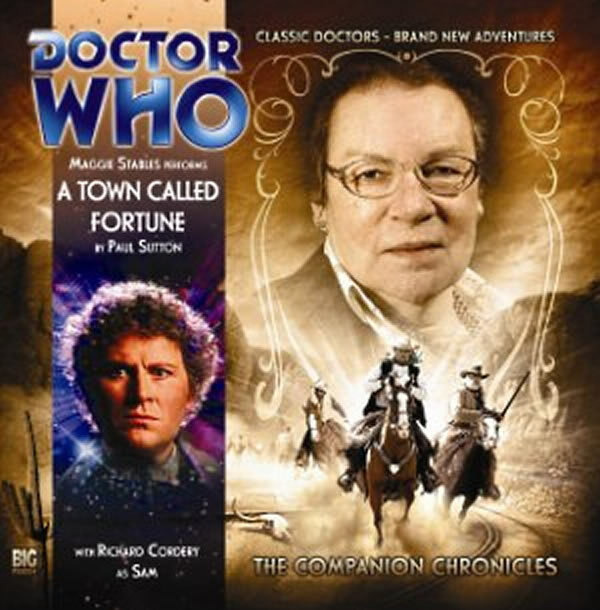 It features the Sixth Doctor, alongside a companion I’d never heard of, Dr Evelyn Smythe. 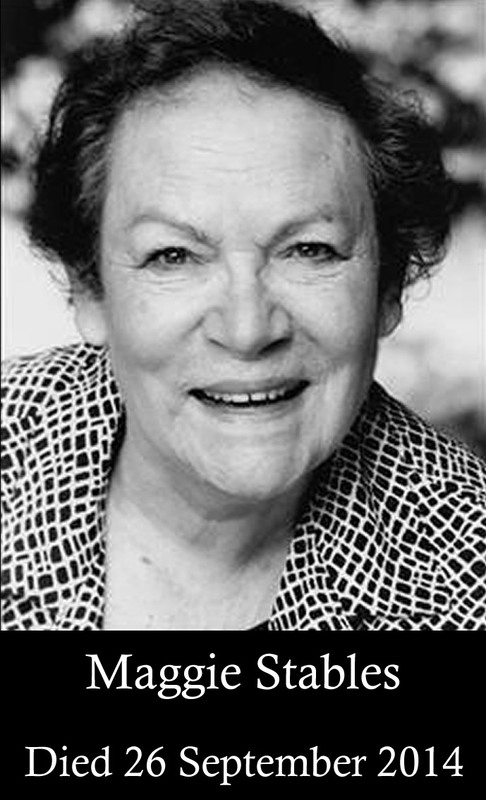 Fans of Big Finish will know why I’m writing this today – Maggie Stables, we are sadly informed, has passed away in her sleep after a long illness. She stepped down as Evelyn some time ago, and retired from acting last year, citing ill health. Acting was, according to Big Finish, a second career, her recordings for Doctor Who following her earlier time as a French teacher. Life, it seems, will always imitate art. 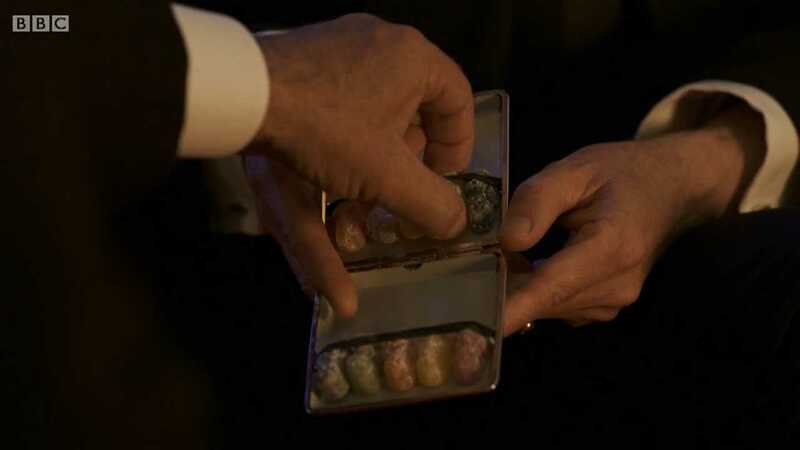 And in turn, art imitates life – within the Whoniverse, Maggie played a historian who left the lecture theatre in order to go travelling with the Doctor, just for the fun of it. 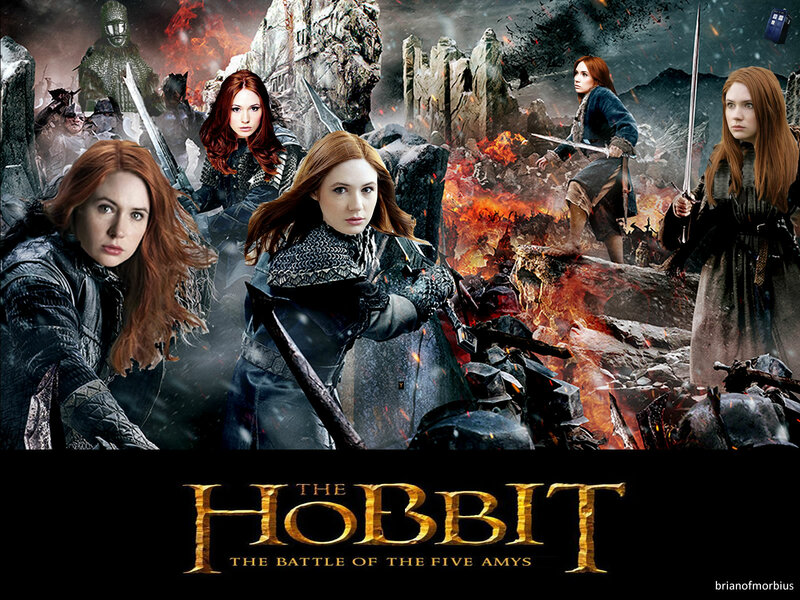 After an initial companion-centred story, in which the Doctor travels back to Elizabethan England to discover why she is being mysteriously erased from history (more or less what happened with Clara, but in reverse), the two set off on various journeys that see them encounter Daleks, Silurians and vampires – this last providing the backdrop for a game-changing adventure that alters the dynamic between the two characters permanently, or at least for a story or two. The lovely thing about Evelyn is her constancy. Not for her the complicated tangling of Doctorish dependence and admiration with pangs of eros. 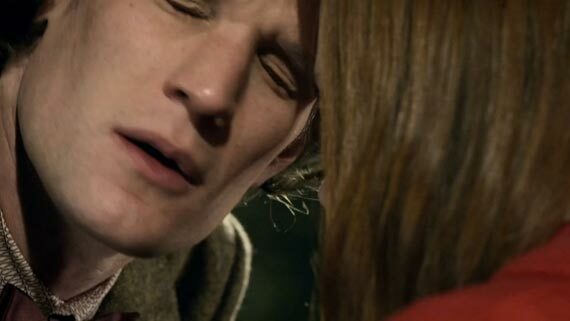 Any sort of infatuation with the Time Lord was completely off the books – she’s a middle-aged woman who thinks of him as a young man, even though she knows that he is not. That needn’t be any sort of barrier, but the impression you get is that it was never even a consideration. Evelyn treats the Doctor as if he were a haphazard, eccentric academic with whom she shared an office and research fellowship – and in a way, that’s exactly what he is. Character embellishments enhanced the stories, while seldom actually becoming the focal points of the narrative. Evelyn has a love of chocolate in all its forms, along with dodgy knees that slowed her down, leading the Doctor to remark “Yes, it’s usually ankles“. Terry Nation jokes aside, the heart condition that became apparent later on – and which Evelyn intentionally concealed from the Doctor under the assumption that he would no longer allow her to travel with him – led her stories into darker waters, even though she never lost her charm. Only a misguided love story, in the dark and moving ‘Arrangements For War’, failed to hit the mark, although this was partly because the scenes with Evelyn and Rossiter took place on a windswept beach accompanied by the sort of dialogue that would make even Mills & Boon readers cringe. 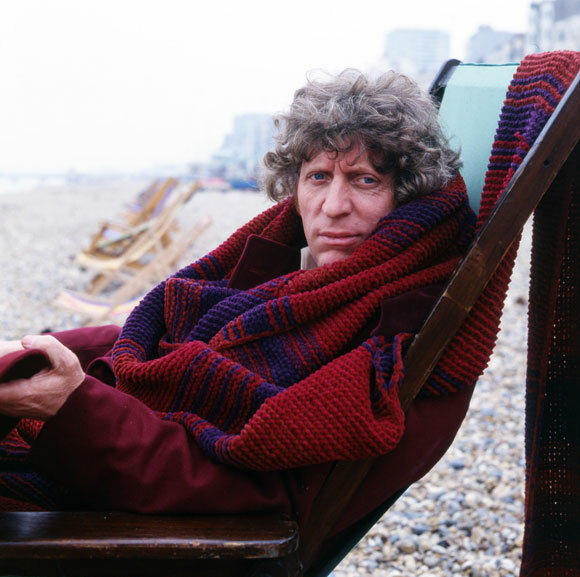 It’s unfair to single out ‘Arrangements’ alone for this, of course – the same sort of thing marred the otherwise brilliant ‘Scherzo’, and there must come a point, surely, when we acknowledge that by and large love scenes in Doctor Who simply don’t work very well. It is a shame, but part of the joy behind Doctor Who is its tendency to do things in the wrong order. 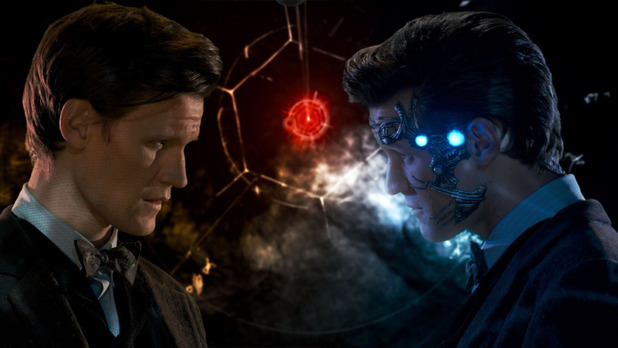 Having an incomplete, tangled chronology may be structurally inadequate but it does seem to fit the Doctor’s own universe. If the future is an undiscovered country, the past is surely not without its own joys and wonders, provided that you do not languish there too long. Myself, I am off to listen once again to ‘Doctor Who and the Pirates‘. Maggie sings in it – not for very long, and not terribly well, but I’d be willing to accept that this is the fault of Evelyn, and that Maggie herself may well have had a lovely voice. We may never know. It is one of her sillier stories, with as much of its humour coming from the nature of storytelling as it does from the story that is being told, but like the best Big Finish narratives, it juxtaposes comedy and pathos in the most effective way. Maggie herself is on top form throughout, compassionate and cynical by turns, and the sort of voice of experience and wisdom that has been sorely lacking in the televisual TARDIS in recent years, where it’s often felt like we were watching two students backpacking. Big Finish have lost a person of wit and warmth, by all accounts, but Maggie’s legacy lives on, both in the many recordings she made and in the hope that we may one day have an older companion back in the TARDIS, just as we now have an older Doctor. And as for us…well, we’ll always have ‘Pirates’. Ish, ish ish ish. Ish. Ish ish. Ish! All in all, a triumph from Big Fin—. 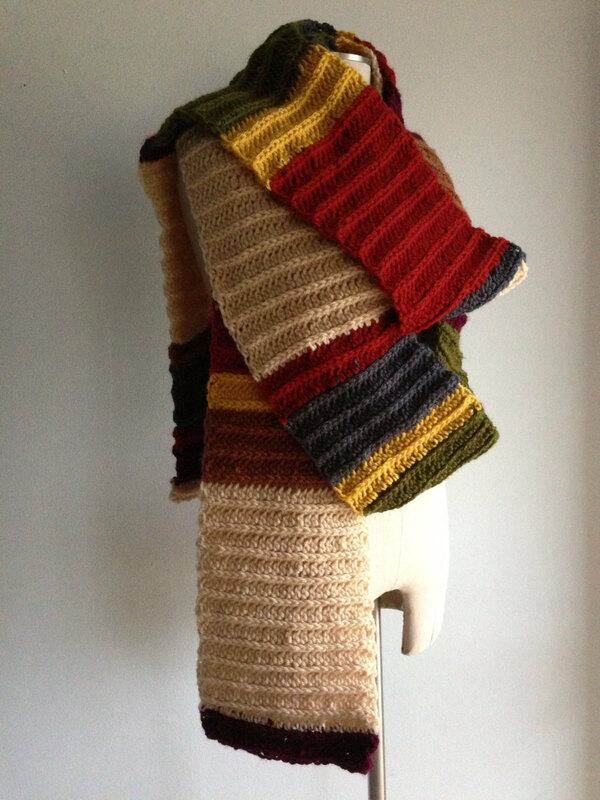 You’ll recall that yesterday I posted an image of all eleven Doctors in crochet form, along with a suitably knitting-themed Who-related title from a serial that I have yet to see (although I’m now told it features Martin Jarvis as the King of the Bumblebee people, so it’ll have to go on the watch list). 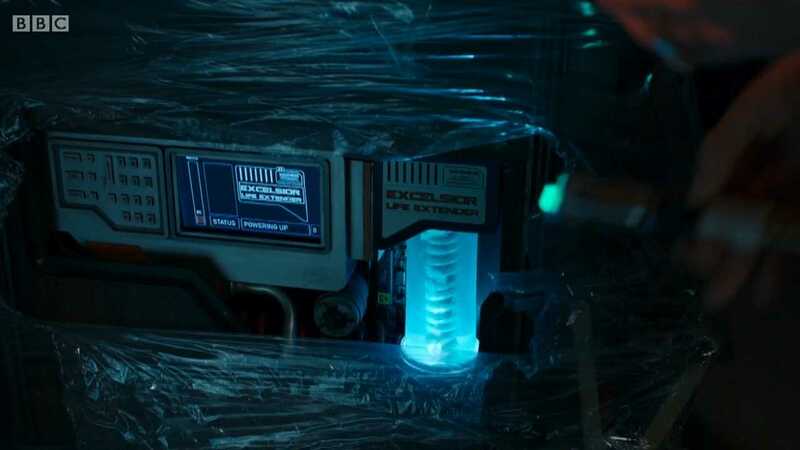 The source article for this photo contained “speculation” from a bloke calling himself Luke Smith who said that Doctor Who would be ‘rested’ after the fiftieth anniversary. “The BBC are getting tired of it”, he said (I’m paraphrasing and correcting his atrocious spelling and non-existent grammer; the original comments are probably still on there if you’re quick) “and they want to spend their money on other things”. 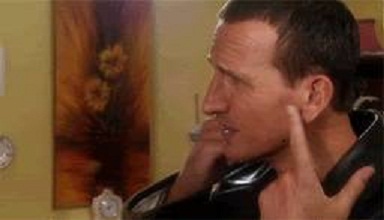 The problem with having Eccleston on board, of course, is that he only ever travelled with Rose – she was with him until the end, and the only times she’s not at his side are during the temporary separations they experience in ‘Father’s Day’ and ‘Parting of the Ways’, when the Doctor’s preoccupied with other things. Indeed, the whole concept of Rose staying with the Doctor is a vital plot point to the season, as her frequent absences are a cause of friction with her family, and it’s not until Tennant’s put on his brown suit for the first time that this is properly resolved. 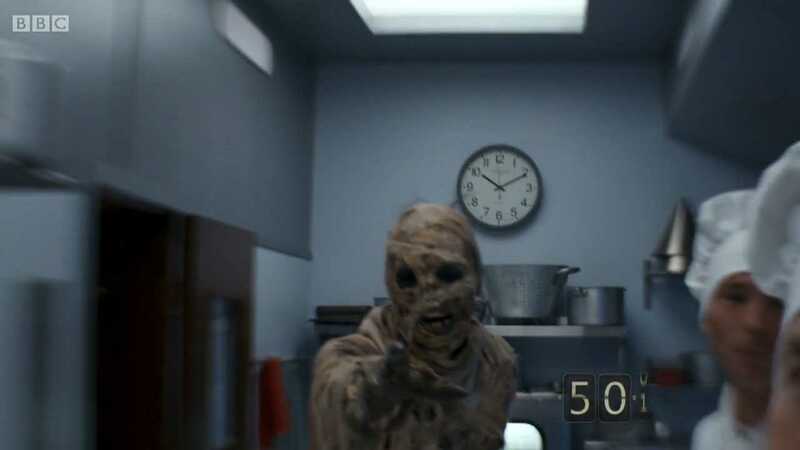 More to the point, when we first meet the Doctor in ‘Rose’, he takes the earliest opportunity to glance at himself in a mirror, remarking on his physical appearance with “Could have been worse. Look at the ears!”. But just a moment. That’s ambiguous. 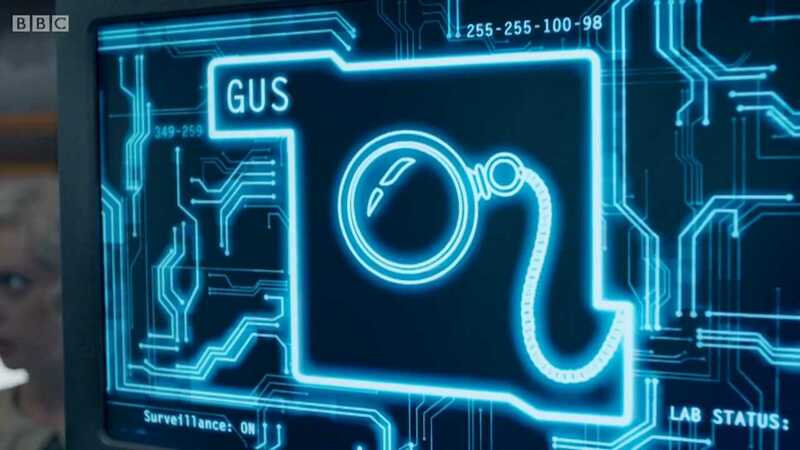 It’s ambiguous in a way that Smith’s comment in ‘The Eleventh Hour’ – when he refers to Prisoner Zero’s emulation of him as “rubbish; who’s that supposed to be?” – is not. 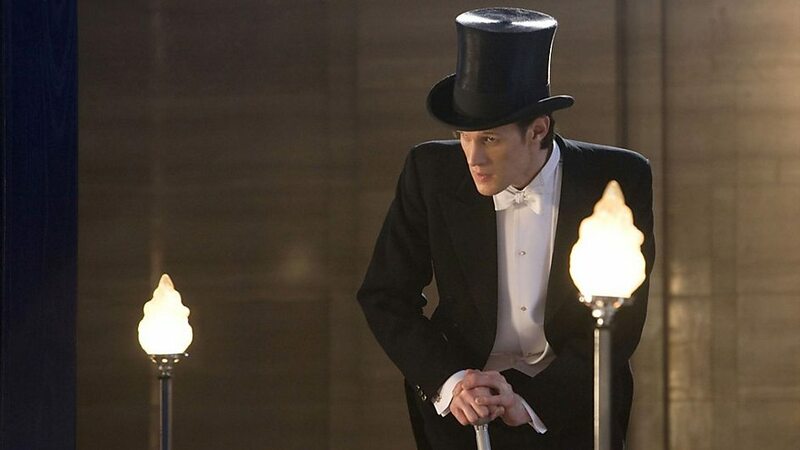 The Eleventh Doctor admits that he doesn’t know what he looks like as he’s not yet seen a mirror, but we don’t know for sure that the Ninth Doctor is experiencing anything of the sort. 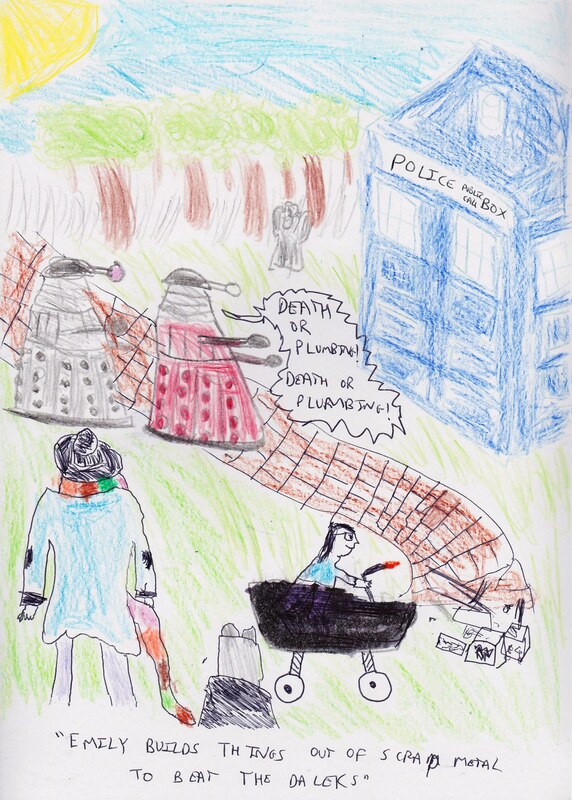 It’s assumed that he’s only just regenerated – and indeed, Davies seems to have inserted this line precisely in order to avoid the flood of fan fiction that would otherwise saturate the internet, in which the Ninth Doctor travels with Victoria / Adric / Mel, but this territory-marking isn’t exactly airtight, the way that J.K. Rowling’s was. 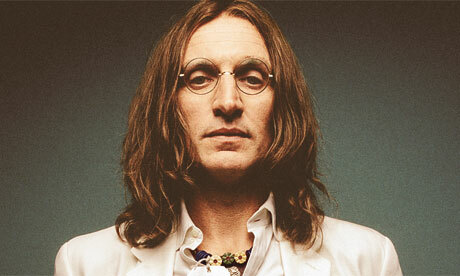 The only problem, of course, is that a long-haired Ninth Doctor looks like this.